Most bulbs are known for their beauty, but some bulbs also produce distinctive perfumes that can range from fragrant to foul. The flowers' aromas were specifically designed to attract birds and insects to pollinate the plants, according to Hugh Iltis, professor emeritus of botany at the University of Wisconsin. And the aromas also help defend some plants against enemies, who find the unpleasant scent hints at an unpleasant taste. The sharp aroma of flowering onion (Allium) identifies this plant as a relative of the popular vegetable. 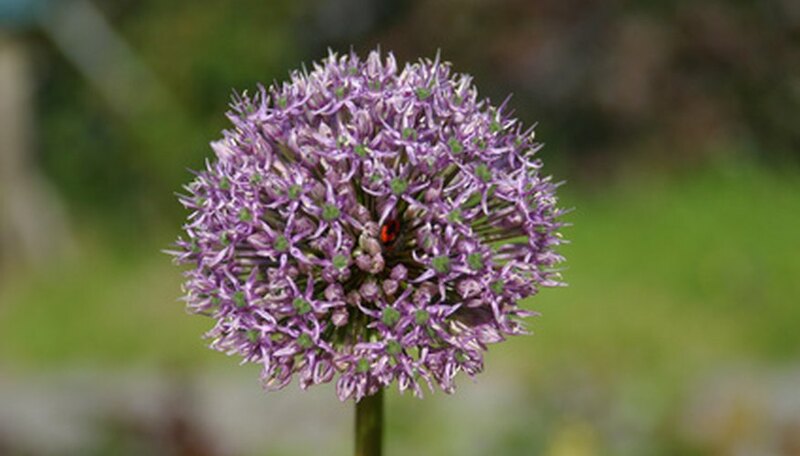 Flowering onions produce showy purple to pink blossom clusters on strong stalks. The flowers, which usually resemble a pom-pom, are actually made up of many small flowers bunched together. The clusters also may be star-shaped, pendulous or semi-circular. Giant alliums can grow to 5 feet tall. Hyacinths (Hyacinthus orientalis) produce frilly, showy flowers that give off a very sweet perfume. 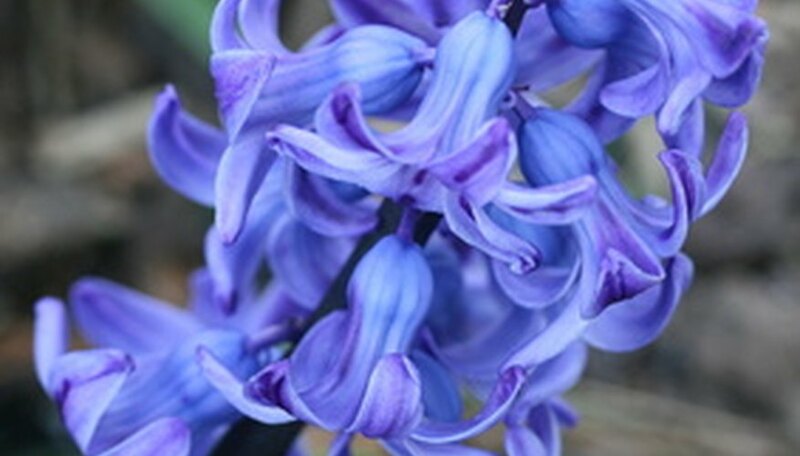 Hyacinths are a good choice for gardens where voles or other rodents are a problem, since more rodents don't like the taste of the bulbs, according to Ohio State University. Hyacinths make good cut flowers and are easy to force indoors in the spring. Narcissus (Narcissus sp.) 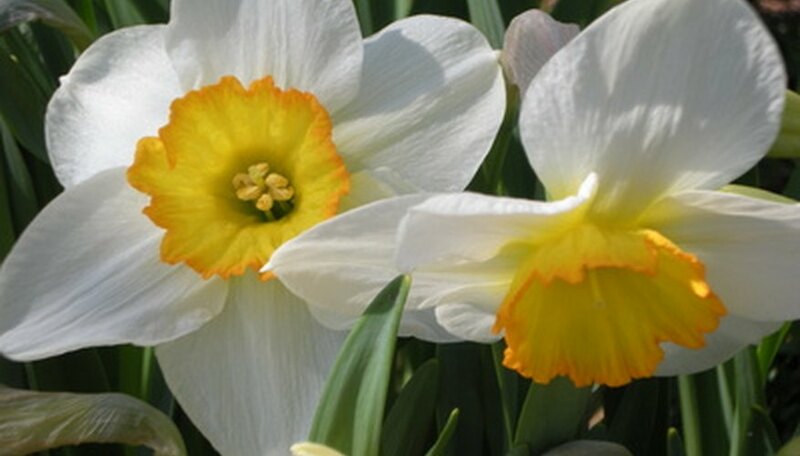 are also known as daffodils and paperwhites. Paperwhite narcissus are a favorite for forcing in the spring. The bulbs will bloom without soil, needing only water and the support of gravel or a glass. Paperwhites give off a rich perfume some may find cloying in close quarters. 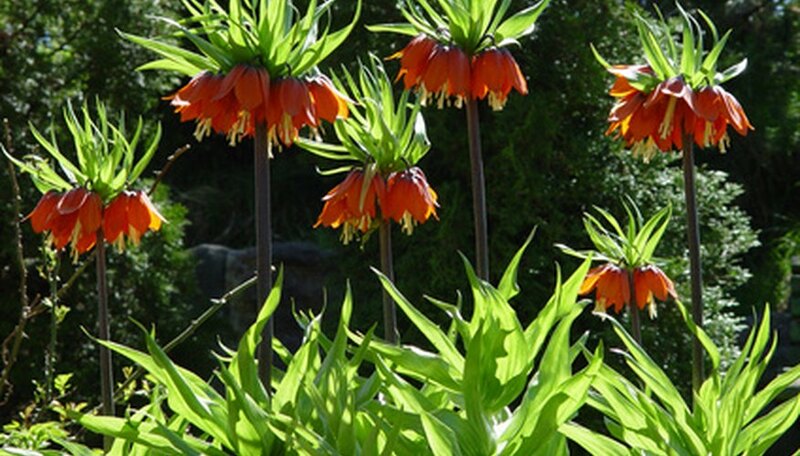 The crown imperial (Fritillaria imperialis) makes a striking show in any garden. The bright red or yellow flowers sit atop tall stalks, and are topped with a tuft of green leaves like a plume in a lady's hat. Both the flower and the bulb have a smell that some have compared to rot. Plant crown imperials in a sunny area with well-drained soil. University of Wisconsin: Why Do Flowers Smell?